Today, the airwaves are full of many kinds of GNSS signals on many different frequencies. The simplest kinds of receivers such as are found in mobile phones, however, still use just one frequency, L1. But as applications move up the value chain of accuracy, ever-more-sophisticated signal-processing techniques are appearing in more types of GNSS receivers — both single- and dual-frequency. A great divide remains, however, between commercial GNSS equipment that operates only on a single frequency and those that process signals on two or more frequencies. To help us sort out the differences between the two and the current state of the art in high-precision GNSS receivers, we called on Kyle O’Keefe, professor of geomatics engineering at the University of Calgary and a member of the school’s the Position Location And Navigation (PLAN) group. IGM: Currently multi-frequency receivers are found in civilian geodetic, surveying and precise navigation applications while most mass market, automotive and civil aviation receivers are single frequency. Why is this and is this likely to change?? O’KEEFE: Civilian multi-frequency methods were initially developed for precise static (geodetic and surveying applications) and then later for kinematic applications. These use carrier phase observations which are very precise, but the results are difficult to guarantee, particularly in kinematic mode. The need for integrity for real-time navigation coupled with the need to use only aeronautical radionavigation system (ARNS) bands (i.e., L1) signals meant that most aviation and automotive applications use single-frequency receivers. Mass market applications are constrained to one frequency by the cost, power consumption, and complexity of including additional antennas and front-end hardware to support other frequencies. The emergence of dual-frequency (L1/L5) receivers for civil aviation will happen, but I don’t think that mass market and consumer applications will be switching over to dual- or triple-frequency receivers soon — unless automotive RTK suddenly becomes a requirement for future self-driving cars or the next edition of Pokémon Go requires decimeter-level smartphone positions. IGM: Receiver losses of lock on satellite signals interrupt the phase measurements causing cycle slips, experienced as jumps of in the integer number of wavelengths. How do single- and multi-frequency receivers differ in how they detect cycle slips and what is the effect on the receivers’ relative performance? O’KEEFE: One of the most popular cycle-slip detection schemes, the phase-rate method, can easily be implemented in single-frequency receivers. The method compares the predicted and measured phases by using the Doppler frequency to predict the next phase. This method works well for static users but is less reliable for kinematic users. Dual- and multi-frequency receivers compare the change in the phase on one frequency to the change in phase on another from one epoch to the next. If the change in range (phase difference times wavelength) differs between the two frequencies by more than some threshold, then a cycle slip must have occurred on at least one of the two signals. This method works in kinematic mode, but it can’t tell you which signal has had the problem. Another method to detect cycle slips is resolve the integer ambiguities at every epoch and look for changes in the integer set between epochs. For this to work with single-frequency receivers, the differential baseline needs to be very short, on the order of a few kilometers. IGM: What are the differences in how single-frequency and dual- or multi-frequency receivers handle the errors introduced by ionospheric conditions — e.g., delays caused by electron density? O’KEEFE: To first order, the ionospheric delay is proportional to one over the frequency squared. If you have two frequencies, you can compare the two delays to estimate the ionospheric effect. The larger the difference between the two frequencies, the larger the difference in the delays, which makes the estimation of the effect more accurate. Without a second frequency, single-frequency receivers must either rely on broadcast models or on corrections services. 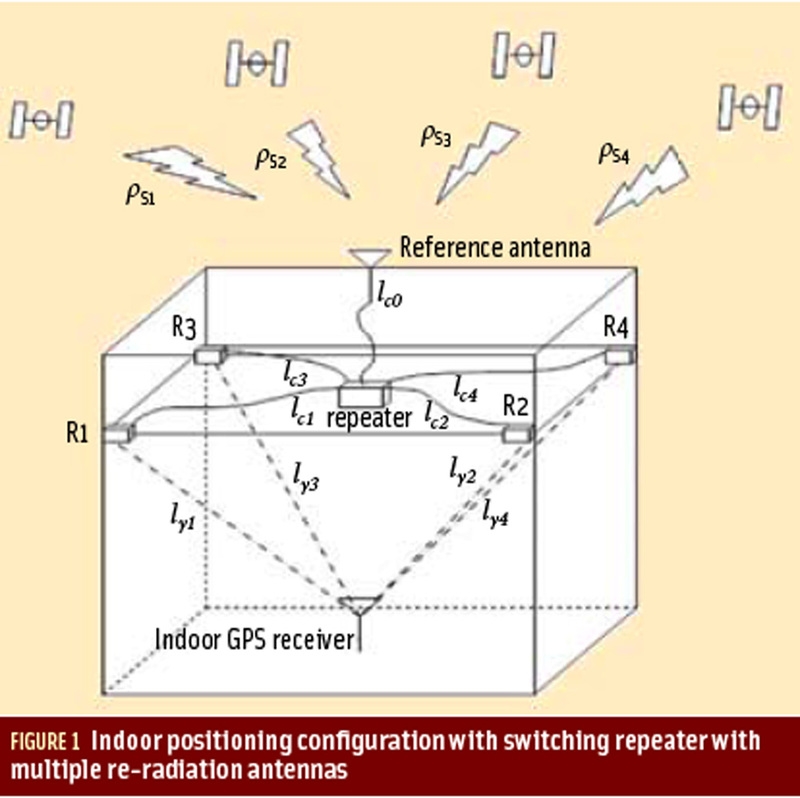 In the case of GPS, the broadcast model can take care of roughly 50 percent of the ionospheric error. Corrections can come in the form of differential corrections from a single base station such as the DGPS services provided by many coast guards and marine navigation authorities or from public or commercial wide area differential services. Providing ionospheric corrections is one of the two main functions of the space-based augmentation systems (SBAS) such as WAAS, EGNOS, MSAS and others developed for civil aviation users (the other function is to provide real-time integrity monitoring of GNSS signals). IGM: High-precision positioning techniques, such as precise point positioning (PPP) and real-time kinematic (RTK) require many epochs of measurements to determine the carrier phase integer ambiguity in order to enable a position solution to converge to a sufficiently high accuracy. What advantage (if any) do multi-frequency receivers have over their single-frequency counterparts in resolving carrier phase integer ambiguities? O’KEEFE: Ambiguity resolution is really just the process of finding the integer ambiguity value that best fits the available observations. Usually this is done by searching over a set of candidate values that are close to a float solution that is estimated over some length of time. When the errors exceed half a wavelength, ambiguity resolution becomes unreliable. In differential mode, the residual errors grow as the baseline length increases, which limits practical single-frequency RTK to the order of a kilometer or two. A second or third frequency allows for the formation of linear combinations of phase measurements with longer effective wavelengths, and this enables ambiguity resolution with shorter convergence times and over longer baselines. Almost all commercial RTK systems are dual-frequency for this reason and allow for single baselines solutions on the order of 20 kilometers that can be resolved in minutes. Longer baselines can be resolved over longer static occupations or in kinematic mode with Network RTK. Instantaneous (single-epoch) ambiguity resolution and fast convergence over even longer baselines have been demonstrated using triple frequency observations where they are available. The simplest combination of two phase measurements is one minus the other. This is called the widelane combination. The interesting thing about a widelane is that its effective wavelength becomes longer as the difference between the two frequencies decreases. So, if your goal is a widelane with a really large (and thus easily resolved) wavelength, then you need a system with two frequencies that are very close together. Note that this is the opposite to the requirement for observing the ionosphere. The designers of GPS chose L1 and L2 to be far enough apart for ionospheric estimation and to provide redundant military signals. Luckily for the precise civilian community, the frequencies were close enough to create a reasonably large widelane. Modernized GPS, Galileo, and BeiDou all have at least three frequencies, which allow for both good ionospheric estimation and large widelanes. With three frequencies, other more complicated linear combinations also become possible. Precise point positioning (PPP) requires either dual-frequency observations or an external source of ionospheric corrections. For a very interesting discussion of the tradeoffs between the two, see the “GNSS Solutions” column on this subject in the July/August 2012 issue of Inside GNSS.